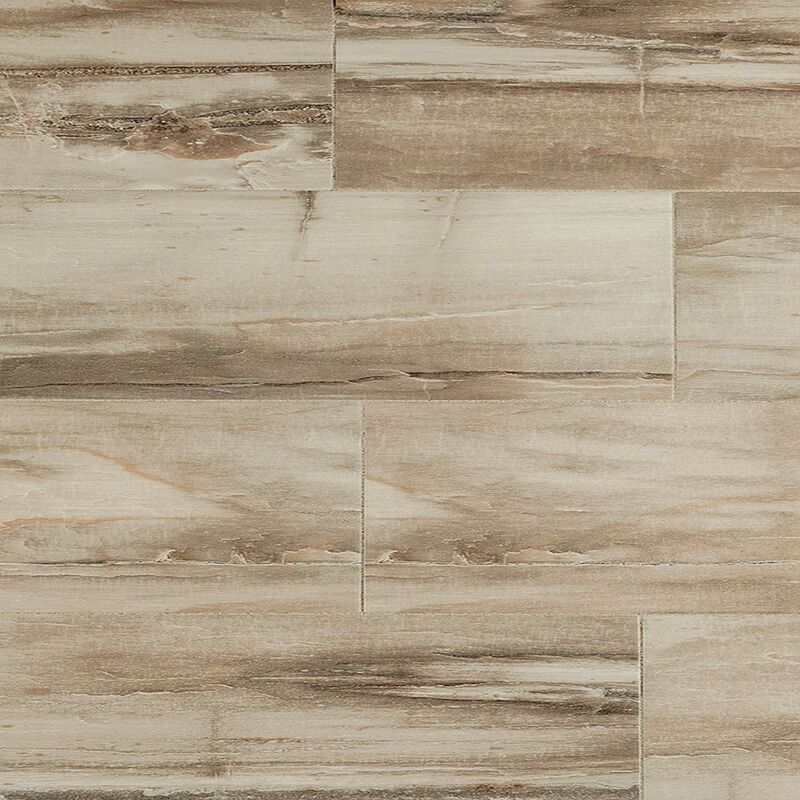 Kaska Porcelain Tile - Fossilized Wood Series Beige / 6"x24"
The Kaska Porcelain Tile Petrified Wood Series adds a high-end designer look to any room. This incredible glazed porcelain tile has exclusive wood-grain features developed with a high-technology process that can add interest and value to any interior design project. With its unique patterning and an easy-to-maintain porcelain finish, this product will underline the beauty of your home for years to come. These tiles are printed with a higher resolution and greater variety of pattern than the average tile because their high definition printing process utilizes the most advanced digital technology glazing system in the industry. Gorgeous sophistication: Available in a selection of complimentary neutrals with varion V3. This means the overall color look of the tiles will be consistent, but the amount of each color on each piece may vary significantly. Easy to install and maintain: The look of wood-grain glazed porcelain tile creates elegance in your home, but with its standard high definition finish, it’s easy to put into place and is simple to clean. Durable and adaptable: This product has a PEI rating of 4, a water absorption resistance of <0.5 and is resistant frost and chemicals, which means that you can use it almost anywhere you’d like to enhance with a stylish floor. Size and shape: All colors are available in plank-shaped 6 x 24 square tiles and 12 x 24 rectified tiles, and are 9 mm thick.